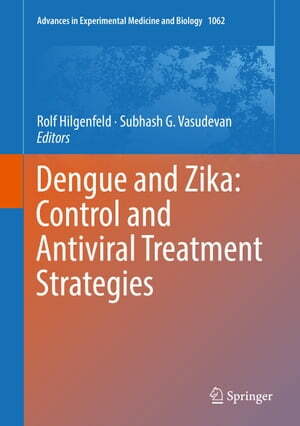 Collins Booksellers - Dengue and Zika: Control and Antiviral Treatment Strategies by Rolf Hilgenfeld & Subhash G. Vasudevan, 9789811087271. Buy this book online. This contributed volume contains 25 chapters from leading international scientists working on dengue and Zika viruses, who came together in Praia do Tofo in Mozambique to discuss the latest developments in the fields of epidemiology, pathogenesis, structural virology, immunology, antiviral drug discovery and development, vaccine efficacy, and mosquito control programs. The meeting venue offered an opportunity to discuss current research on these flaviviruses in an idyllic setting, and also to develop first-hand appreciation of the issues in infectious diseases facing developing countries and of the research gaps in Africa. For readers, who should include basic and clinical researchers in the field and public health professionals, the chapters are organized to provide a comprehensive overview of the various topics in current dengue and Zika virus research. A unique feature of the proceedings of this meeting is the inclusion of the discussions that took place following presentations. These have been transcribed and appended to the end of the relevant chapters, and they form the “salt in the soup” of this book.